Did you know we are one of the only offices in Irvine that carries ic! Berlin? Ic! berlin metal glasses are made of extremely flexible and lightweight 0.5mm spring stainless steel making them tough as nails, yet soft enough to adjust by hand to achieve the perfect fit. Ic! berlin, situated in the heart of Berlin, Germany, passionately designs and manufactures a unique brand of eyewear based on old-fashioned quality production. 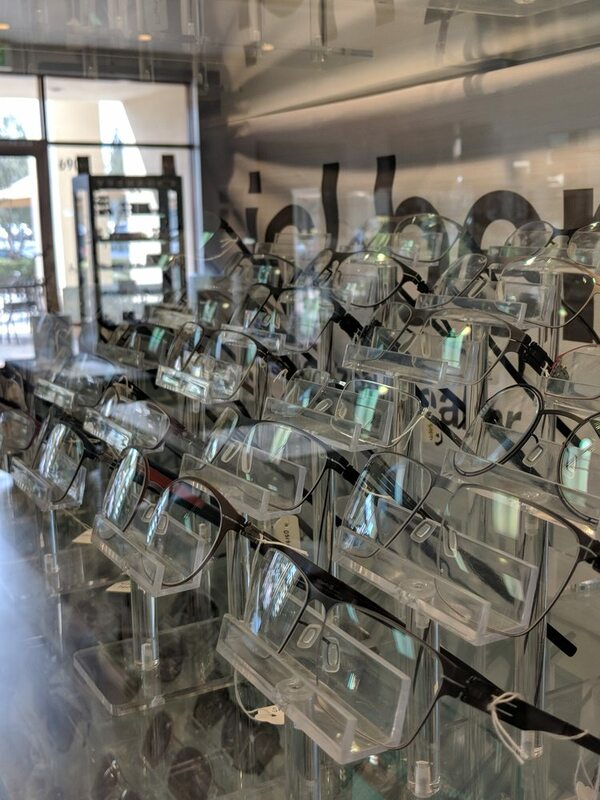 Each frame features a one-of-a-kind patented screwless hinge system, combined with high quality materials – making the eyewear virtually indestructible. Based on principles of passion, innovation, technical precision, and handcrafting with love, ic! berlin creates high quality eyewear with authenticity for enlightened consumers who want to know what is truly behind the products they buy. ic! berlin produces revolutionary glasses, sunglasses, reading glasses and sports glasses for children, women and men, made exclusively by human beings and meant to last a lifetime. Ic! berlin eyewear is designed for every face, frames that are exciting yet quiet, functional yet comfortable. ic! berlin frames are luxury products hand-finished, piece by piece to avoid any gaps in quality or execution to guarantee the highest degree of quality. Because none of the components are screwed, soldered or welded, no pair of ic! berlin glasses can fall apart, leaving you without the ability to put them back together.sit our friendly neighbourbood ic! berlin dealer.